With DC and Warner Brothers' big plans to make a cinematic universe to rival Marvel's, one of the properties they've been looking to bring to the big screen is Neil Gaiman's Sandman, a sprawling, literary story that defies categorization and simple summarization. It's been in development for decades, and many fans dread what it could turn out to be. In some people's view, it would make more sense to turn it into a prestige TV series, where the depth of the story and characters could be fully fleshed out and explored. Considering the success DC has had on the small screen with its slate of CW series, it makes sense, which is probably why Lucifer, a side character from Sandman (and star of his own solo series), ended up getting adapted into a TV show. Unfortunately, the fans' dread about Gaiman's world making the leap from the printed page was justified. The serial storyline comes to take over the show in later episodes, as a controversial case from the past involving Chloe and Dan draws all the characters in, building to the season finale. These plots become repetitive though, and make the series drag to the first season finish, making the CSI: Hell episodes more appealing, as there was something to differentiate one from another. The whole issue that no one seems to have a problem with the fact that a man openly claims he's the devil (ignoring Lucifer's ability to bend women's wills) is just symptomatic of a show with questionable character motivation. While it's clear that Lucifer is struggling with something akin to humanity, and his inconsistent personality due to that makes sense from that perspective, no one else seems to have any kind of core identity. Though it's set up like a procedural, it plays out like a mix of a soap opera and a sitcom, with hokey plots like Chloe's mother coming to visit or the relationship drama between Chloe and her husband. It just feels like something is off, and the show fails to really get in gear because of it. The cast is fine at portraying the characters they are given, with Ellis and Harris being the standouts. Without Ellis, this show would be dead on arrival, as he plays the debonair devil with the proper bemusement, but can summon evil when necessary. One can imagine what he could do if this show gave his character the kind of story to work with that the comic series did. 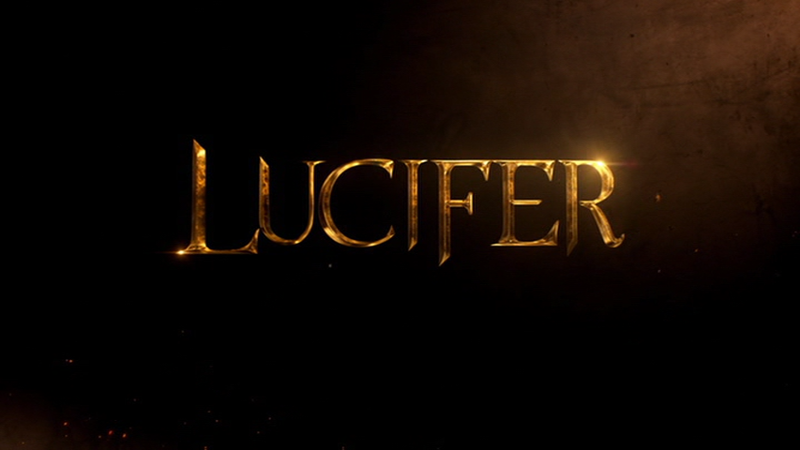 Harris, meanwhile, offers a solid balance of desirous and concerned as Lucifer's confidant, and their sessions tend to be a highlight of many episodes. As for the rest of the cast, they don't get a great deal to do of much interest, but no one is problematic either. The show looks quite nice, with some good, limited effects work and some stylish camerawork, but something that really stands out is the sound--and not for a good reason. The show utilizes a soundtrack heavy in songs that reference the devil, which is just way too on the nose. It actually becomes distracting, to the point where, if they use a song that's just the right fit tonally, you start trying to figure out the devilish reference. 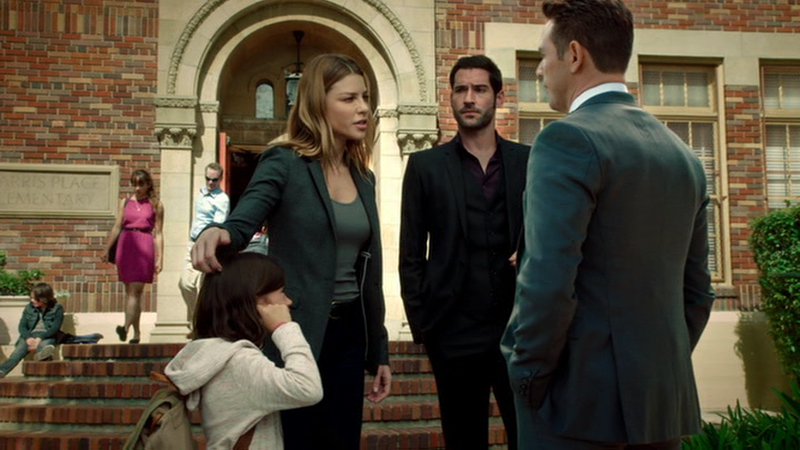 The show needs to trust that people get that Lucifer is the devil and not bang the viewer over the head with it. The 13 episodes of the first season of Lucifer arrives on three DVDs, packed in a standard-width keepcase with a dual-hubbed tray and a four-page insert, all held in a slipcover that repeats the cover art. The discs have WB's usual bland, static, anamorphic widescreen menus with options to play all the episodes, select shows, adjust the setup and check out the extras. Audio options include English Dolby Digital 5.1 and Spanish Dolby Digital 2.0 tracks, while subtitles are available in English SDH and Spanish. For standard-definition, these discs look quite nice, as the anamorphic widescreen transfers boast nice vibrant color, deep black levels (a must since much of the show takes place at night) and a good level of fine detail. The image doesn't suffer from any noticeable issues with digital distractions and the special effects are nicely blended. Overall a solid visual presentation. The Dolby Digital 5.1 tracks in this set are most obvious in the delivery of the show's soundtrack, as the songs are powerful thanks to support from the surrounds and bass pick-up in the low-end. Otherwise, the dialogue comes off clean and crisp, and enjoys good separation from the sound effects and music, with the side and rear speakers carries some atmospheric effects. There are 10 deleted scenes to check out, running 5:57 in all. Nothing here is particularly interesting (most of the lips are exceedingly brief) and nothing is all that different plot-wise from what aired. A quartet of character profiles, for Amenadiel (1:08), Chloe (1:13), Linda (1:22) and Dan (1:03), feature clips and interviews with the actors (with Ellis popping in) as an introduction to the four characters. If you've watched the season, there's nothing really revealing about these pieces. 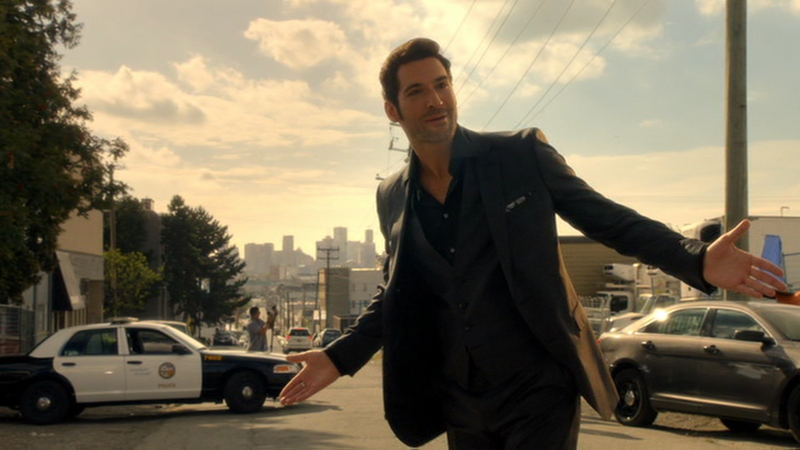 In Lucifer, a genuinely fascinating character played with massive charm by Ellis is shoehorned into a pretty pedestrian police procedural, and the results are at best a guilty pleasure and at worst a show that settles quickly into a formulaic rut. Trying to balance the series' mythology and the case of the week slows down the pace and makes many episodes feel too similar. The presentation here is good, but the extras are limited, and one viewing is all anyone needs. Fans of shows like CSI should enjoy a watch, but fans of the comic series should stay far away.